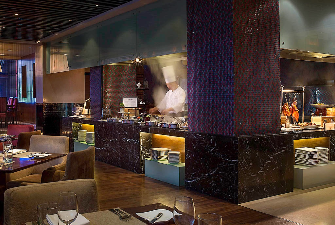 Award wining interactive all day dining, International buffet with French Touch with a privileged view over the Nanjing pedestrian Road. 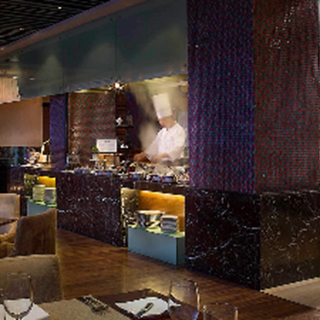 Offers a buffet focusing on French products and preparations mixed with Asian flair as well as an innovative menu focusing on organic and biodynamic creations. I called the restaurant and they didn't receive the booking from AccorPlus online. The food is only so so. Seafood is almost tasteless. For buffet, I will recommend at least it should include a cup of after meal free coffee/tea.